has been involved in the lithium industry for over a quarter of a century. From 1995 to 2012 Joe managed FMC Lithium’s commercial business to lithium ion battery cathode producers and ended his time at FMC with global commercial and business development responsibility. While living in Japan and China from 2000 through 2010, he also served as President of FMC’s Japan based joint ventures producing cathode and lithium metal / organometallics. After moving to China he was responsible for forming and served as President of FMC Zhangjiagang Specialty Chemicals Ltd. He was venture manager for the construction of the world’s largest butyllithium plant. 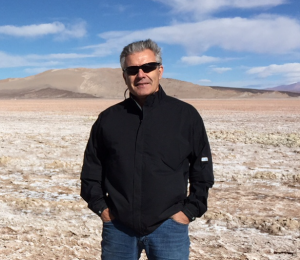 After leaving FMC in September of 2012, Joe founded Global Lithium LLC an advisory firm serving lithium producers, purchasers, investors, governments on five continents. His extensive network of high level contacts at both producers and purchasers worldwide gives Joe a unique window on what for most industry followers is an opaque market. is based in Buenos Aires and serves as Managing Partner of DCDB Research. Emily manages South America projects for companies in the mining, energy, oil and gas industries. She has worked extensively in evaluating supply chain and compliance in the physical gold space. Her specialization in lithium includes due diligence associated with country risk assessment and analyzing challenges in rural and off-grid sites. 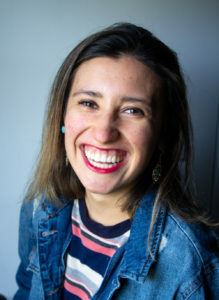 She was responsible for off grid and hybrid project development in South America for Leclanche, a Swiss lithium battery manufacturer She appears on CNN and Al-Jazeera America in relation to Argentina’s economy, and her work is frequently featured in Business Insider, The Bubble, Wolf Street, and InfoBAE. Emily has a Bachelor of Science in Economics from Tulane University and a MA in International Affairs from American University. She is doing graduate coursework in Renewable Energy at the Instituto Tecnologico de Buenos Aires (ITBA). 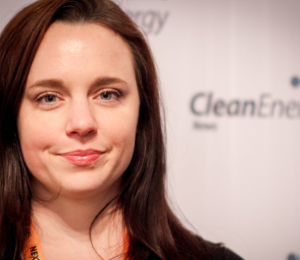 is the editor and producer for the world’s first podcast about the lithium industry. The show’s hosts are Joe Lowry and Emily Hersh, two experts in the lithium field. Job duties include working with Joe and Emily on show format, editing the biweekly episodes, creating episode teasers to share on social media, and researching podcasting trends. Want to learn more about our show? Visit our Press Page.